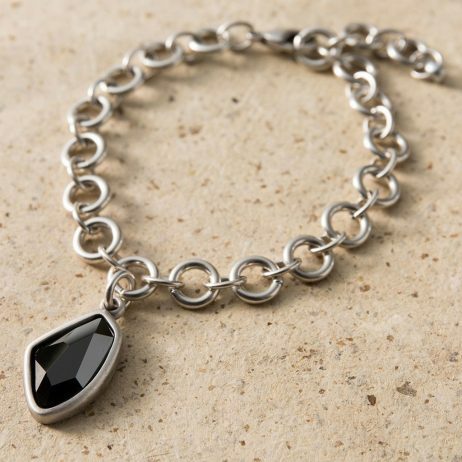 When I think of Danon Jewellery I think of timeless classic pieces with an edge of glamour and this new Danon Jewellery Crystal Silver Link Bracelet has all that and more. 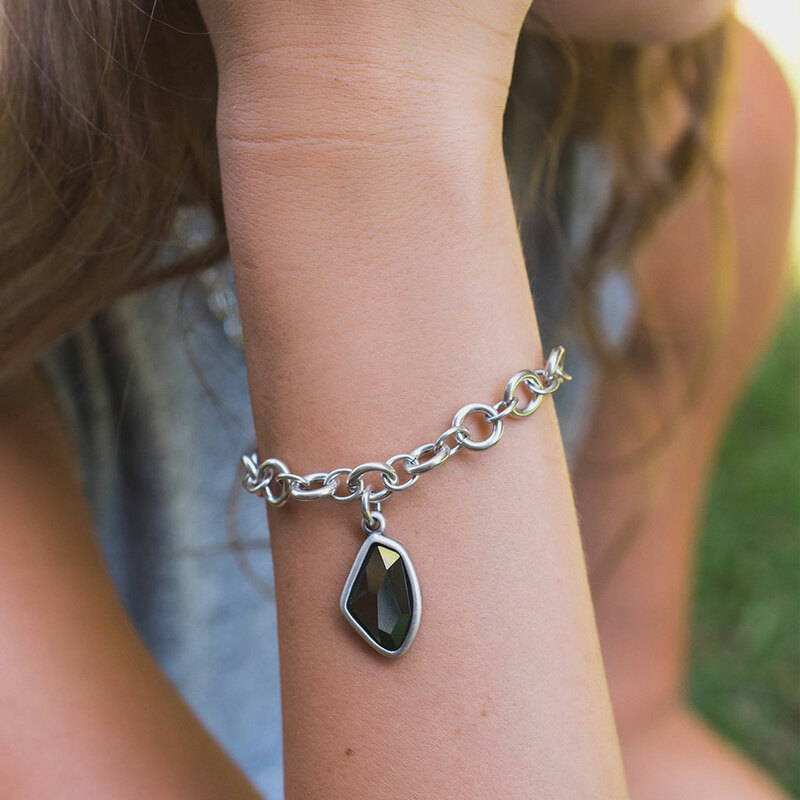 The show stopping Swarovski ‘Galactic’ grey crystal pendant on this gorgeous silver links bracelet has been designed in a unique edgy cut which highlights the harmonious balance between soft and sharp to create one of the most beautiful bracelets we’ve ever seen. When I think of Danon Jewellery I think of timeless classic pieces with an edge of glamour and this new bracelet has all that and more. The show stopping Swarovski ‘Galactic’ grey crystal pendant on this gorgeous silver links bracelet has been designed in a unique edgy cut which highlights the harmonious balance between soft and sharp to create one of the most beautiful bracelets we’ve ever seen. The length of this Danon bracelet is 22cm, with a 2.3cm long by 1.9cm wide grey Swarovski ‘Galactic’ pendant. 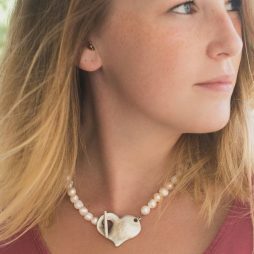 Danon Jewellery from Lizzielane arrive to you beautifully wrapped in branded Danon gift boxes making special gifts for birthday’s, Christmas, anniversaries and even yourself. Jewellery from Danon is identified along with sought after design and also high quality that is merely elegant. They have over time created collections that in addition to using the most recent and up to date production processes. Finished by hand, each piece offers a individuality that we have come to associate with Danon Jewellery. 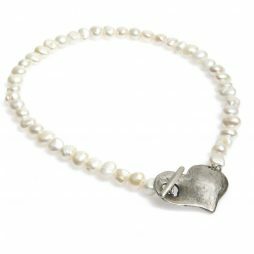 Birthday Gifts, Danon Jewellery, Danon Bracelets, Gift Ideas, Gifts £50 - £99, Silver Bracelets. 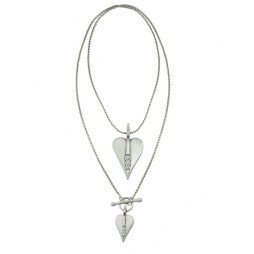 Brand New Danon Jewellery Heart Pendant design! 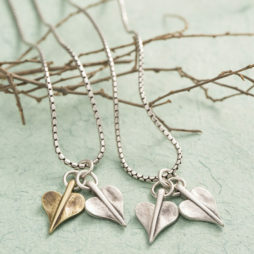 The exquisite Double Mini Leaf of Love Necklace is extremely stylish and highly wearable. 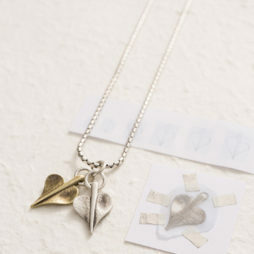 Featuring two small Leaf of Love charms on a snake chain length of 43 cm with a secure lobster bracket. 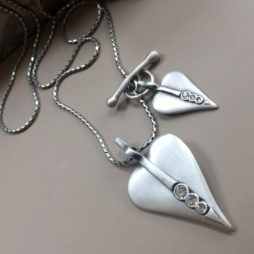 Available with two combinations: two hearts in silver or a gold and a silver heart.